Florida cold weather can turn green lawns brown with carpetgrass and Bermuda grass intrusion – a sight that full-time residents are accustomed to but a source of stress for snowbirds. But after you read these facts, you’ll see why you needn’t overstress. As the temperatures drop and we get down into the 40s and occasional 30s, you’ll probably notice areas of your turf turning brown. Why? It’s common knowledge that the growth of St. Augustine turf slows greatly and is not as vibrant green as it is in the summer. 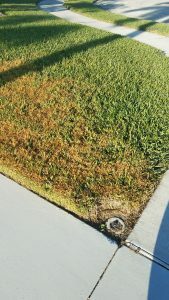 There are, however, a couple of other issues that affect the color of your turf: Bermuda grass and carpetgrass intrusion. During the summer months this is less noticeable because these grasses are nice and green. But as temperatures drop, they lose color before the St. Augustine does, causing your turf to have an uneven appearance, or even what appears to be dead spots. Carpetgrass can be easily identified by its pale green or yellowish green color. It is one of the first grasses to turn brown when the temperature is cool and the last to green up in Spring. 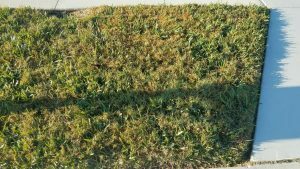 There are no herbicides currently on the market that are available for us to use to control carpetgrass or Bermuda grass intrusion, as they will also kill your St. Augustine grass. Bermuda grass in Florida’s winter season. Unfortunately, this means the only solution is to remove and resod the affected areas. This expense not covered by your homeowner’s association or ArtisTree – so you need to ask yourself if it’s really bothering you that much. Remember: Uneven turf color occurs every winter in Southwest Florida, and natives will tell you that affected areas almost always return to green as the winter season ends. So please don’t stress. Let Mother Nature run her course, and come Spring, your lawn will return to its uniform shade of rich, verdent green. If you still have questions about carpetgrass and Bermuda grass intrusion, contact your local nursery or landscape maintenance company. 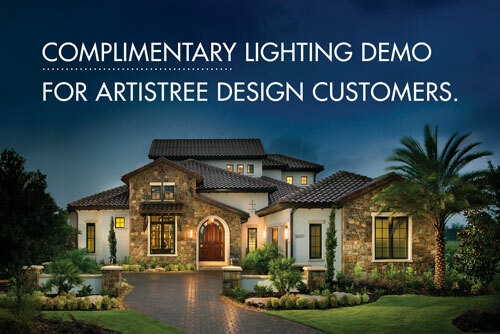 Do you live in an ArtisTree-maintained community? Then call your property management company, or contact your ArtisTree account executive at 941.488.8897. Carpetgrass turning brown in Florida’s cold weather. I would like to thank Pedro Mares for an excellent (first time) experience with your company. Mr. Mares was very professional, knowledgeable and patient. The job was started on time and everything was completed as discussed and quoted. It is rare today to find a company that can be trusted to perform a quality job. We will definitely call on Mr. Mares in the future for any landscape needs as well as refer your company to those that may ask our opinion of your company.